Welcome to The Thursday Throng and this week I’d like to welcome Vanda North, the author of ‘Mind Chi – Rewire Your Brain in 8 Minutes a Day’. Vanda co-wrote the book with Richard Israel. 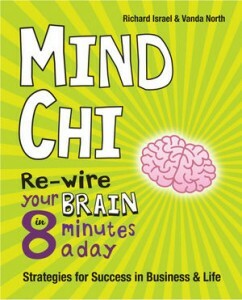 This week, I’d like to welcome Vanda North who is the co-author of Mind Chi – Rewire Your Brain in 8 Minutes a Day. I love this book, in fact this book helped me to get to the place I’m in today because it forced me to reassess what was important, what wasn’t important and where I wanted to be in life. And it does just take 8 minutes a day to radically chance the way you think about everything. It has a very simple approach and at the end of the book is a set of ‘menus’ you can use to help you deal with specific problems and issues you might be wanting to resolve. ; they include things like ‘dealing with difficult people’ right through to ‘increasing creativity’. Altogether there are 50 plans for success contained within the book, ensuring that no one is going to be left out. It’s worth remembering that Vanda is also the past president of the International Society for Accelerated Learning & Teaching and that she founded the Buzan Centres Worldwide for Tony Buzan. To celebrate my 60th birthday I did something that I had never done before and that was to raise money for our local hospital by climbing Mount Kilimanjaro. This was an amazing experience that taught me the limits we feel exist for us are nowhere near what we can actually achieve. It has influenced my attitude to everything I have done afterwards. It was also where, as a confirmed bachelor lady, I met a wonderful gentleman who has become my husband! Well I only have one character and yes, his name is very important. His name is Chi and I have become fonder of him as I discover more about him. Once you are aware of him you realise how crucial he is to your wellbeing, effective functioning and overall joy in life. I also discovered how much fun you can have playing with his name: Chi-er leader! aCHIevement! Chi-easy! You get the idea!! Use maps to collect, sort and organise your ideas. 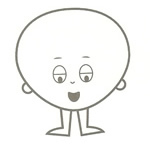 There is free mapping software called x-mind that is good. A map allows you to see the whole picture – and then drill down to any level of detail you require – all at one visual gulp. You can also capture notes, quotes or whole tracts of text connected to the appropriate key word. Later if you decide to move parts about to balance the book better, the notes also move meaning you may try several organisational structures to see which works best. You can also have a large white board or several sheets of flip pad paper to make a hand map. Here you can work out the main sections and chapters and use sticky notes to add your thoughts, quotes and text ideas. The shoe box! As soon as a book idea enters your head, watch for articles, pictures, references and stories that can assist you. Gather them in your shoe box. As you progress, you may wish to add dividers so you may locate data easily. Finally, use dictation software. Many people are more comfortable speaking than writing, so something like ‘Dragon naturally speaking’ is a great aid to allow the thoughts to come from the brain in a natural and conversational style. Love the editing! This can seem very tedious, so the right attitude is very important here. Going through and through looking for the mistakes may seem negative, however NOT seeing them when you have the finished product in your hands is well worth while! How do you stay sane while working? I am not too sure that I am totally ‘sane’ anyway, working or not! And I feel that is a real advantage. It frees me to allow, catch and play with creative ideas as they come, whenever that may be. To enjoy and express zany ideas and that is energising. To encourage my thoughts to wander in all kinds of places and make connections where there were none before. And it consciously helps me to get through the ‘tougher’ bits with fun and relative ease! The best experience I have ever had and it never is lessened, no matter how many times I see it, is when I see the smile of ‘I can do this!’ spread over a face. A person moved from feeling unable to able, unsure to confident, not understanding to clarity – magic! Anywhere humans are feeling they do not have joy. My life is discovering practical ways to assist people when they are faced with some difficulty. Easy ways to have life work for you rather than against you. This is what I would LIKE to do, but haven’t arranged it yet! My Chi character looks like this, and I would love to have a Chi costume and assist stressed people, rather like the Super-Chi of stress and resilience. I would be able to present at conferences and meetings, diffuse difficult situations, be a help spot as needed, and remind people of their naturally joyous nature! If you’d like a little taste of the Mind Chi experience then the video below will introduce you to the concept of how you can literally re-wire your brain in just 8 minutes a day. Enjoy!